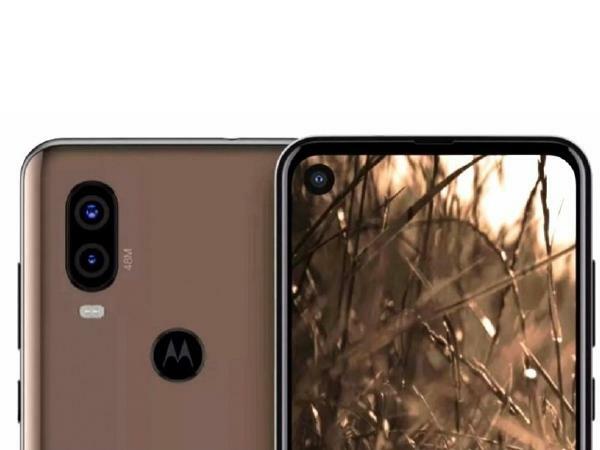 The Motorola One Vision has been the subject of numerous leaks lately which have revealed almost everything there is to know about the smartphone’s internals. The smartphone paid a visit to Geekbench and later its detailed specs leaked online. It also popped up on Wi-Fi Alliance’s website bearing model number XT1970-1 and running Android Pie.Leaked by Tiger Mobiles, the latest image shows the phone having a punch-hole display with the selfie camera located on the top left corner. The display has small bezels on three sides and a relatively thick chin. It also shows the phone having a 48MP rear camera.It’s worth noting that the One Vision is called the P40 in some markets, specifically China. The ‘One’ monicker is used for the international variant of the phone. While there are unconfirmed reports about the resolution of the selfie camera, previous reports have claimed that the phone will come with a dual camera setup with a 48MP camera, and the press render attests to the earlier speculations. The dual camera setup is placed vertically on top left with a dual-LED flash.While the biggest and most exciting info so far revealed about the device is that it could come with a 3500mAh battery and a chipset from Samsung. Despite Motorola’s love for Snapdragon processors, the One Vision is set to be the brand’s first smartphone powered by a Samsung chip, more specifically the Exynos 9610. This was recently used inside the Galaxy A50 and can be compared to the Snapdragon 660 when it comes to performance thanks to its octa-core setup. Other external features look set to include a USB Type-C port and a speaker along the bottom of the smartphone, a volume rocker and power key up the right side of the device, and the fan-favorite 3.5mm headphone jack on top of the Motorola One Vision.As revealed recently, a minimum of 3GB of RAM and 32GB of storage will be present inside the Android One device. But if this isn’t sufficient, consumers should also be able to choose variants with 4GB of RAM and either 64GB or 128GB of storage. The back of the smartphone, which seems to have a glossy finish, is also home to a fingerprint scanner with Motorola’s signature bat-wing logo atop, and further down below, we have the Android One branding.The One Vision has the SIM card slot located on the left, with the volume rocker and power button sitting on the right. The lockscreen of the phone has the date of April 3 which is when it may go official. You can also see the pill-shaped button at the bottom which indicates the phone will run Android Pie out-of-the-box.As for where it’ll be sold, the expectation is that it’ll go on sale in Europe, Latin America, and even China where it’ll be marketed as the Motorola P40.